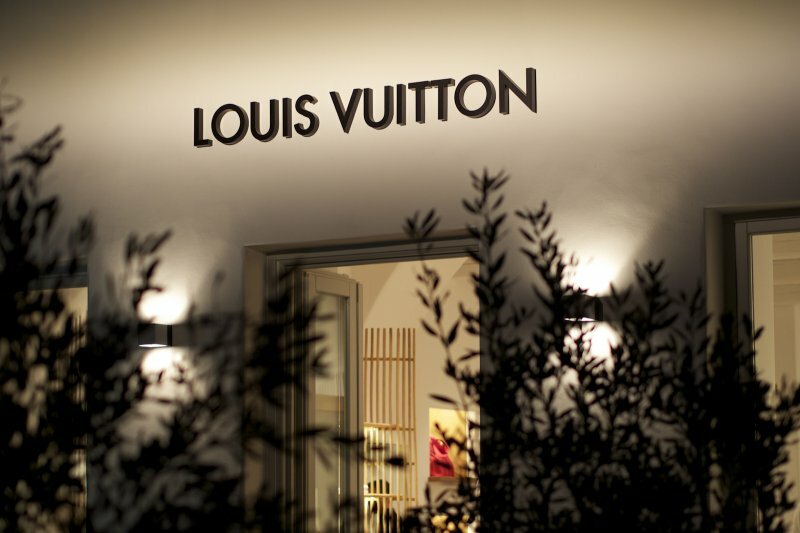 Manufacturers of luxury goods a few years ago chose a Greek island in the Aegean Sea. There are boutiques in pop-up format and special collections, inspired by the romanticism of Mykonos. What is island of the Cycladic archipelago, named for the ancient hero famous for? The cleanest beaches, bohemian resorts, snow-white houses against the bright blue sky and, of course, the famous windmills of the 16th century, which became the symbol of Mykonos. A few years ago the island turned into one of the important luxury destinations - it is here that the brands are trying to spend the holiday season: with benefits for themselves and a pleasant benefit for the client. Five years ago, Louis Vuitton's house came first. In the largest city on the island of Chora, the pop-up boutique opens with a wide selection of accessories for vacations and beach holidays. The next was the Dsquared2 brand store: Dean and Dan Caten had long ago made the rule of vacationing in Mykonos, and now they opened a two-story boutique with men's and women's clothing, a collection of swimsuits and sunglasses. "Mykonos attracts travelers and shoppers from all over the world. Party people, hipsters, yogis, young and old - no one can resist the light and energy of this island, "says Greek jeweler Nikos Koulis, who in 2014 opened a boutique in the old part of the city. 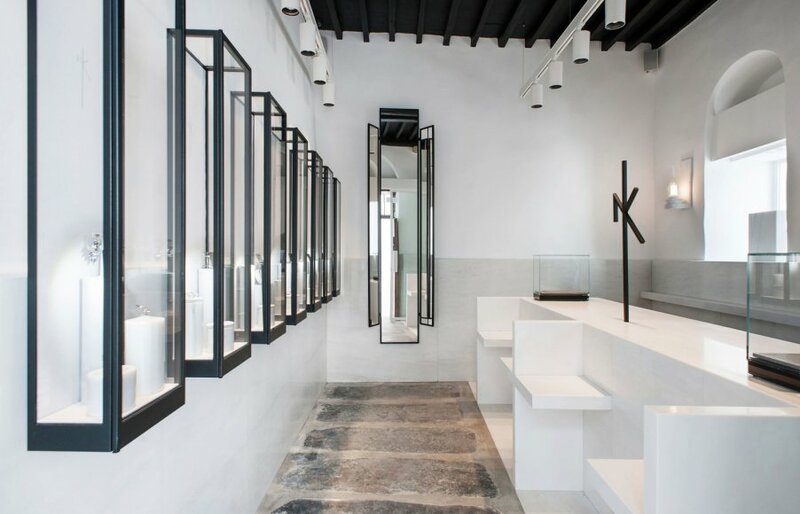 The interior combines elements of Cycladic architecture and Art Deco, and in the assortment - geometric rings, Spectrum decorations with serrated spikes and other jewelry minimalism with pava and enamel. 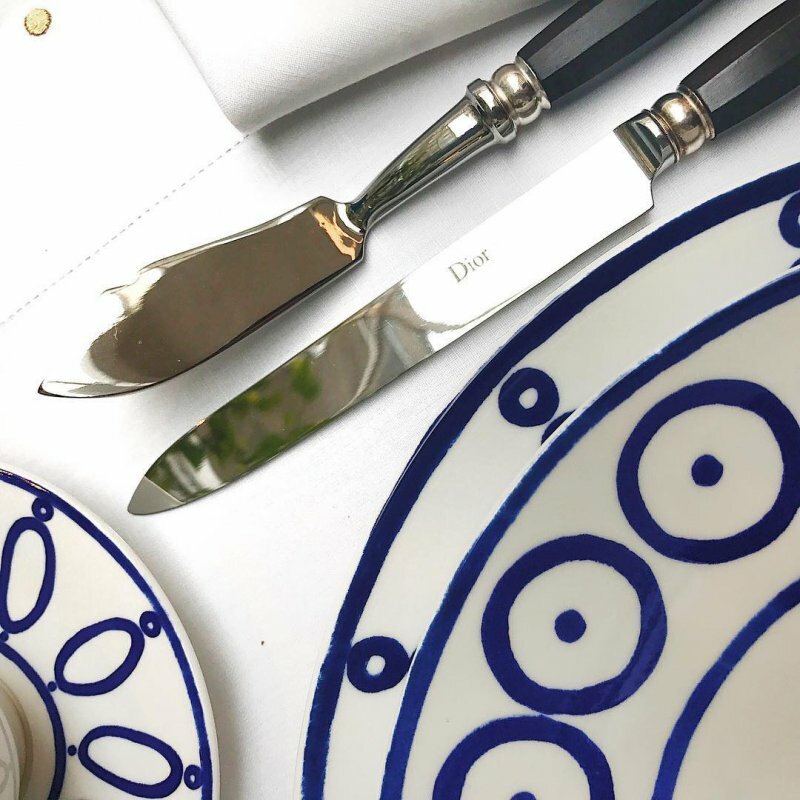 Dior MAISON creative director Cordelia de Castellane and designer Themis Zouganeli met a year ago at the Belvedere Boutique Hotel Mykonos, and today, in Mykonos, you can purchase their joint dish line Themis Zouganeli x Dior Maison. Espresso cups, saucers and plates made of snow-white porcelain are decorated with a bright blue wavy motif. Prices from $ 72 to $ 300. This dish is suitable for outdoor porches - and better with a view of the sea surf. Belvedere Boutique Hotel Mykonos gladly accepts under its wing shops of small jewelry brands - their designers are also crazy about Mykonos. "Nobody wears high heels here, but the original jewelry is a must," says Eugenie Niarchos , author of Venyx. A jewelry designer of Greek origin, Diane Kordas, is confident that "the atmosphere in Mykonos is relaxed and at ease, but at the same time with the right degree of luxury." Just like "her decorations are elegant, but not pretentious." 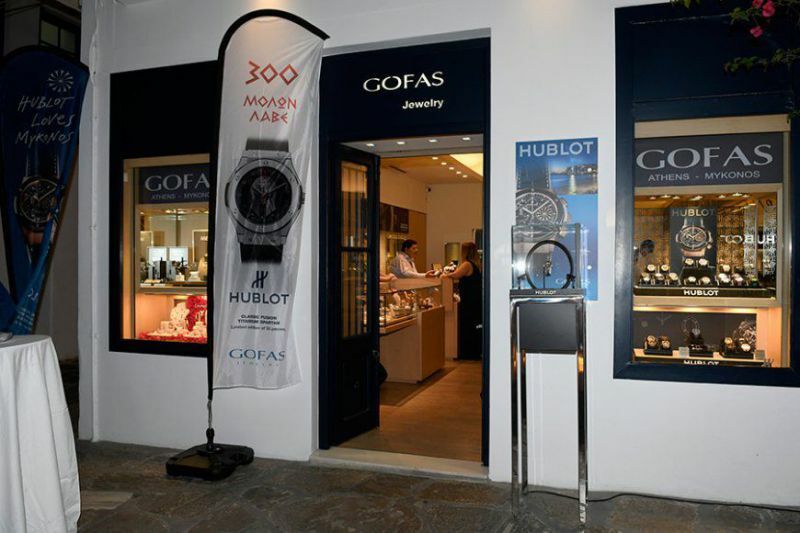 Windmills of Mykonos appeared on the dial of the new chronograph Hublot Classic Fusion Aerofusion Mykonos Edition, which is exclusively presented in the boutique Gofas on one of the narrow streets in Mykonos. 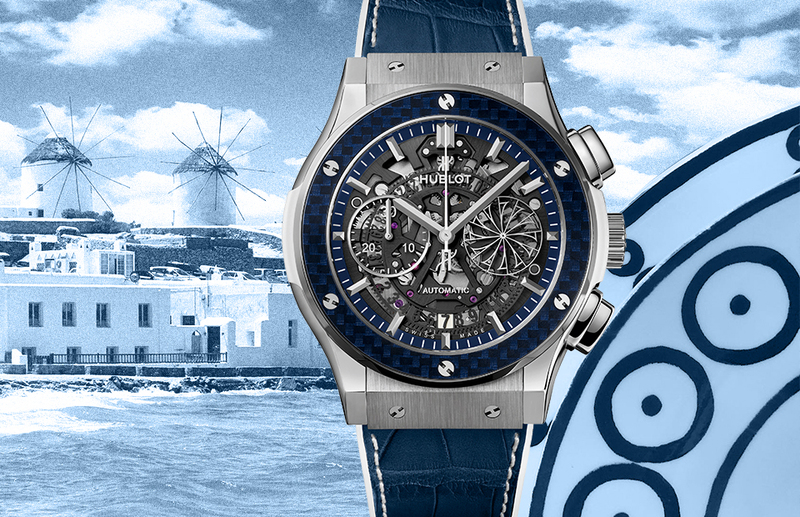 Five years ago, in the first collaboration with Hublot, the Classic Fusion Mykonos was released - "the absolute blending of the sky, the sea and the earth." Then the windmill was gold depicted on a bright blue "sea" dial in the position "3 hours". 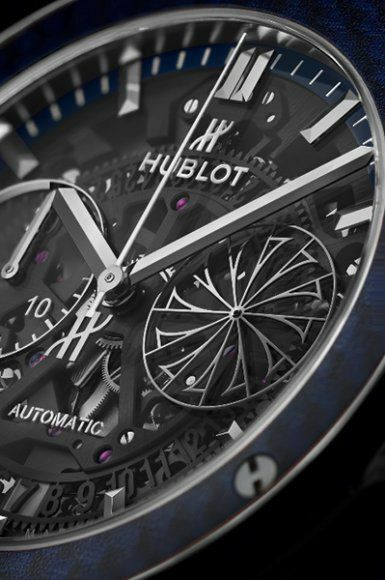 In the present version of the chronograph, the blades have become a constructive element of the dial and rotate in a circle. 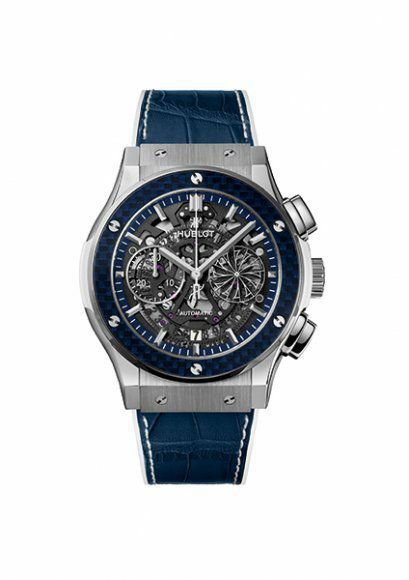 New watches are produced in a 45-mm case made of titanium (50 copies) and branded alloy King Gold (20 copies). Strap is made of blue alligator leather on a lining of white rubber. By the way, at the party dedicated to the launch of this model, islanders-regulars - Dean and Dan Caten from Dsquared2 visited.